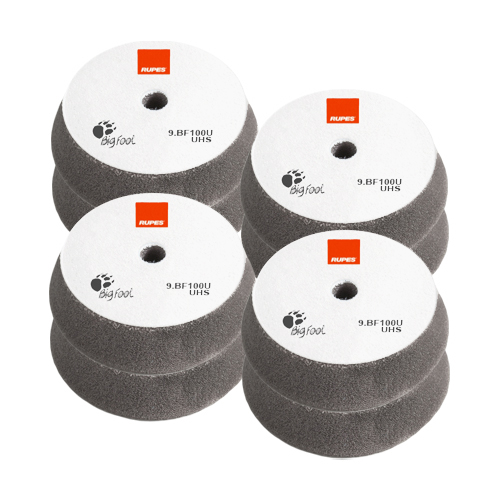 RUPES BigFoot UHS Easy Gloss 4” Foam Cutting & Polishing Pad 8 Pack allows you to stock up on these great one step polishing pads at fantastic bulk pricing. The RUPES BigFoot UHS Easy Gloss 4” Foam Polishing Pad is part of the advanced RUPES BigFoot UHS Easy Gloss One Step Polishing System. Manufactured to work specifically with RUPES BigFoot UHS Easy Gloss Polishing Compound for removal of fine to moderate defects in painted surfaces, to include highly durable scratch resistant paints. 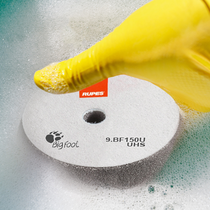 The inventive expanded resin design of the RUPES BigFoot UHS Easy Gloss 4” Foam Cutting & Polishing Pad removes light to moderate defects such as swirl marks, etching and scratches in one easy step while reducing the amount of polishing compound needed. 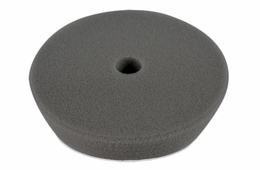 The center hole design and open cell structure and of the RUPES BigFoot UHS Easy Gloss 4” Foam Cutting & Polishing Pad on the RUPES BigFoot 3” Backing Plate prevents the build-up of heat through the cooling channels in the backing plate to allow for minimal downward pressure for optimum results in little time. RUPES BigFoot UHS Easy Gloss 4” Foam Cutting & Polishing Pad paired with RUPES BigFoot UHS Easy Gloss Polishing Compound were designed to work in combination with the oscillation movement of the RUPES BigFoot LHR 75E Mini Random Orbital Polisher to produce a show stopping shine. 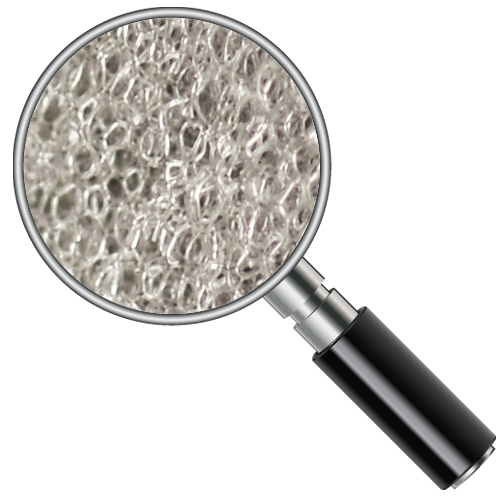 When heavier correction and gloss enhancement is needed RUPES BigFoot UHS Easy Gloss 4” Inch Foam Cutting & Polishing Pads work great with RUPES BigFoot Zephir Gloss Coarse Polishing Compound, RUPES BigFoot Quarz Gloss Medium Polishing Compound and RUPES BigFoot Keramik Gloss Fine Polishing Compound may be used on most types of paint.